It’s been a while since my last post on Oymyakon, but the town is not forgotten! And just this week the Smithsonian & Amos Chapple gave us some wonderful images from Siberia. 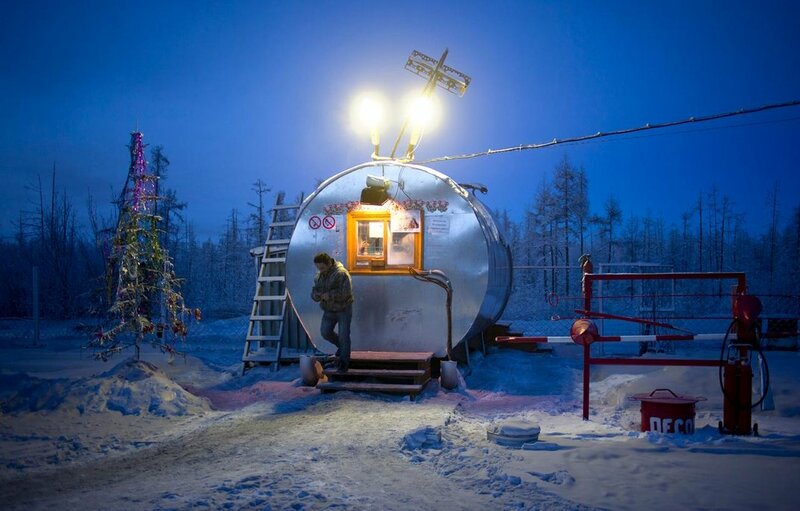 Cars must be run continuously when making a trip to Oymyakon (if they stop you wont get them going again because of the low temperature), and so 24/7 gas stations are essential to winter transportation. Workers on the gas stations work two weeks on and two weeks off. Such a strange and magical world we live in …!